Scott B. Patten, MD, FRCP(C), PhD. 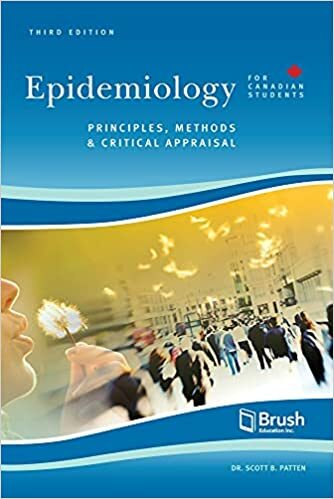 I have written an introductory textbook of epidemiology. My academic metrics are available here. My main academic interest is in the epidemiology of mood disorders, both in general populations and in clinical populations. Heather Juby of the Canadian RDC Network and I have started a blog on the topic of Clinical Depression in Canada . When Does an Episode of Depression Require Treatment? Depression occurs along a broad spectrum of severity, the extent to which treatment is needed for depression varies also. Almost all of the literature concerned with this decision emphasizes the severity of symptoms - ie. more severe depression is more likely to require treatment. However, the duration of symptoms may also be important. The probability of recovery varies by episode duration. A spreadsheet that calculates the probability of recovery based on episode duration using Canadian epidemiological data can be found here . The epidemiology of major depression is complex, and it is not an easy matter to anticipate the significance of traditional epidemiological estimates for health care practice and policy. To address this it may be helpful to maintain and update simulation models that can integrate epidemiological data from the best available sources, and provide an accessible visual summary of the epidemiology. We have used Markov models for this purpose. Discrete event simulation models may ulimately be more useful. An example can be found here. Some examples of visual animations from simulation models, calibrated using Canadian data can be found here in the U of C's PRISM archive. Another area of interest for me is stigma among health professionals. A summary of our work in this area is available here.